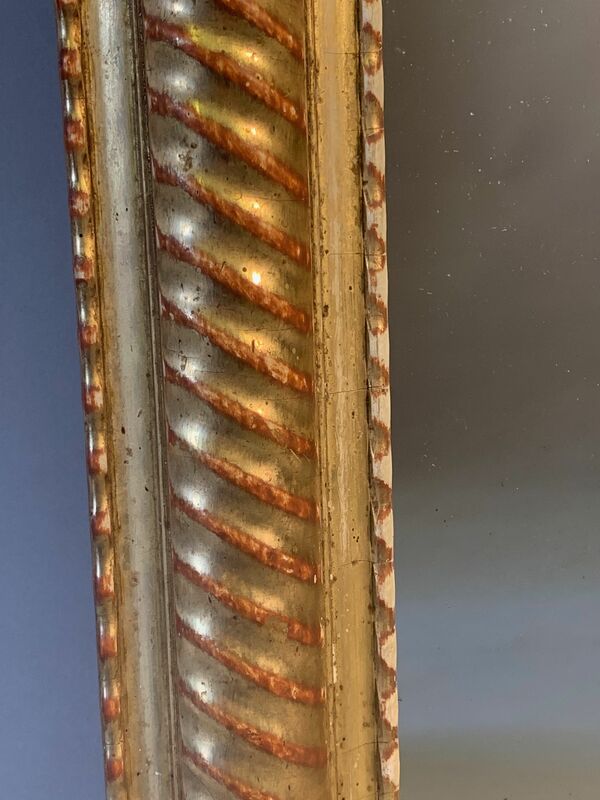 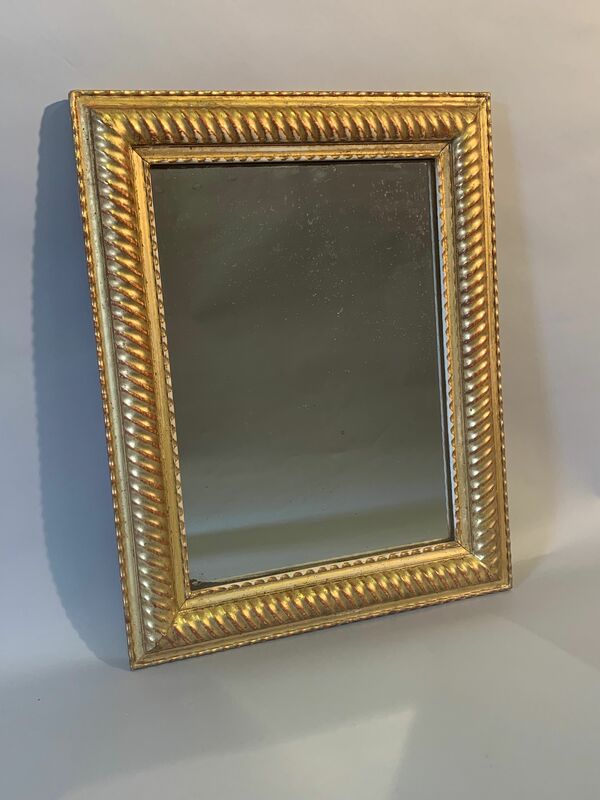 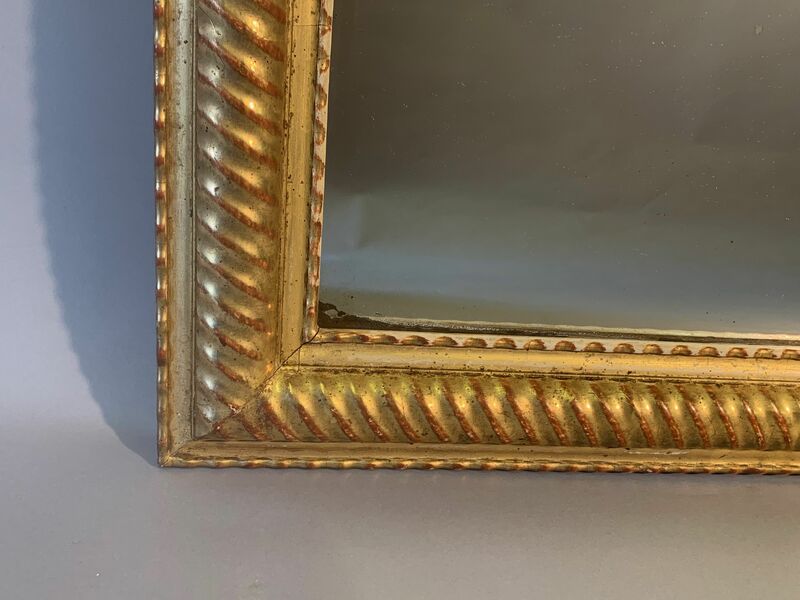 Small French gilt gesso ridge framed mirror. 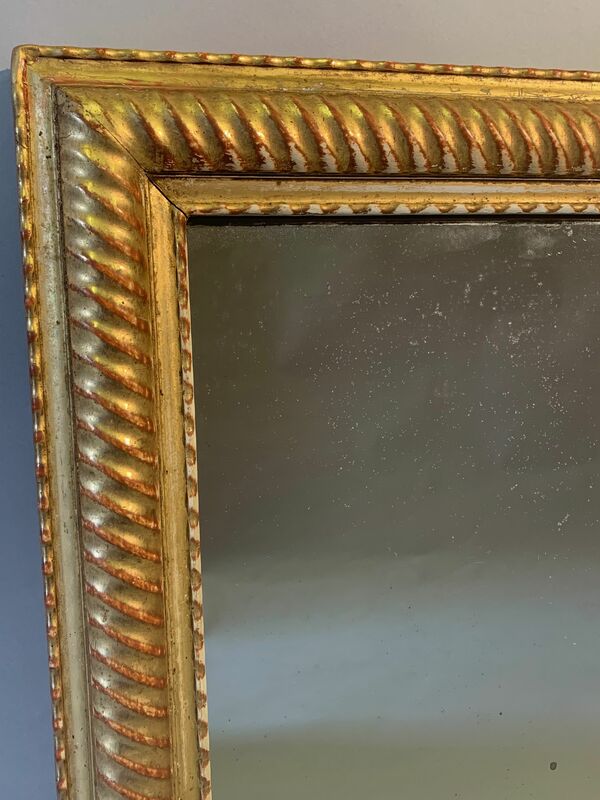 Lovely petite French C19th gilt gesso ridge or rope twist framed mirror with original mercury glass plate. 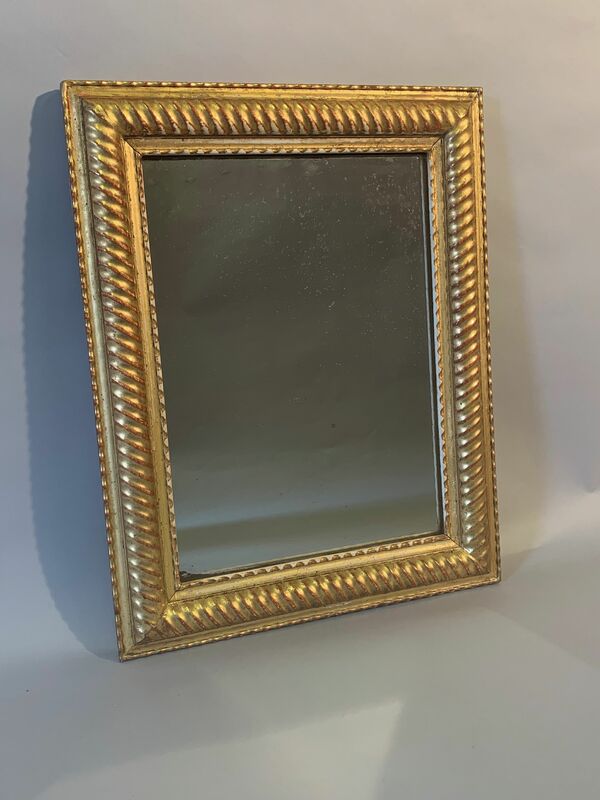 Can be hung portrait or landscape.